Please prepare the followin information per item. Item URL, Price and Quantity are mandatory. Item name: Max. length is 256 letters. English or Japanese is available. If url will exceed 256 letters, please write it in comments form. Item URL: Max. length is 600 letters. Click "Make order" link at left side menu. In case that you have already signed in, this window will not appear. Proceed to next step. For New Customers: Please register and proceed to the next step. For Returning Customers: Please Sign In and proceed to the next step. 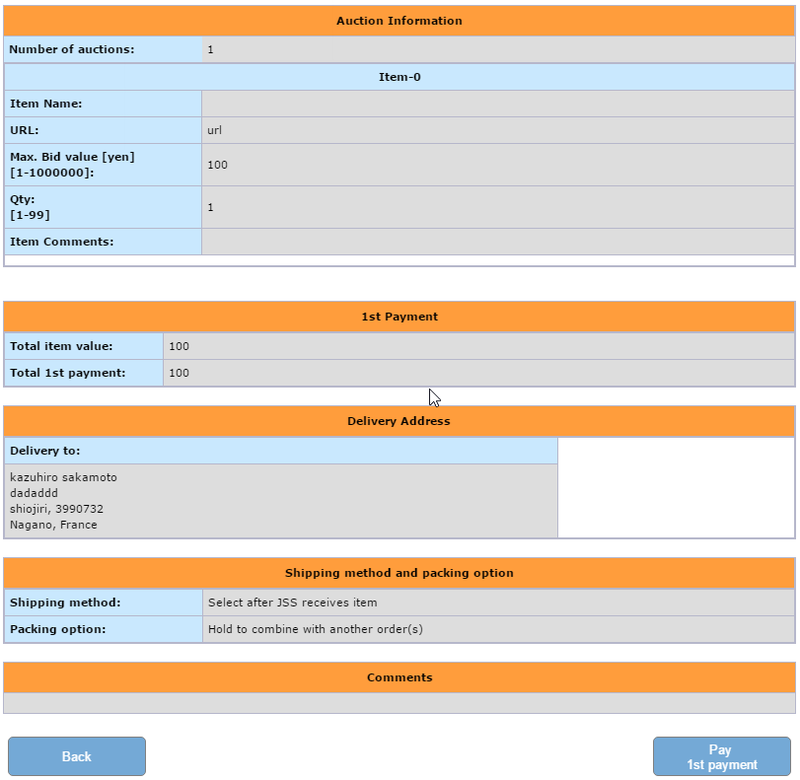 Step 4: Fill item information, delivery address, shipping method and packing option. 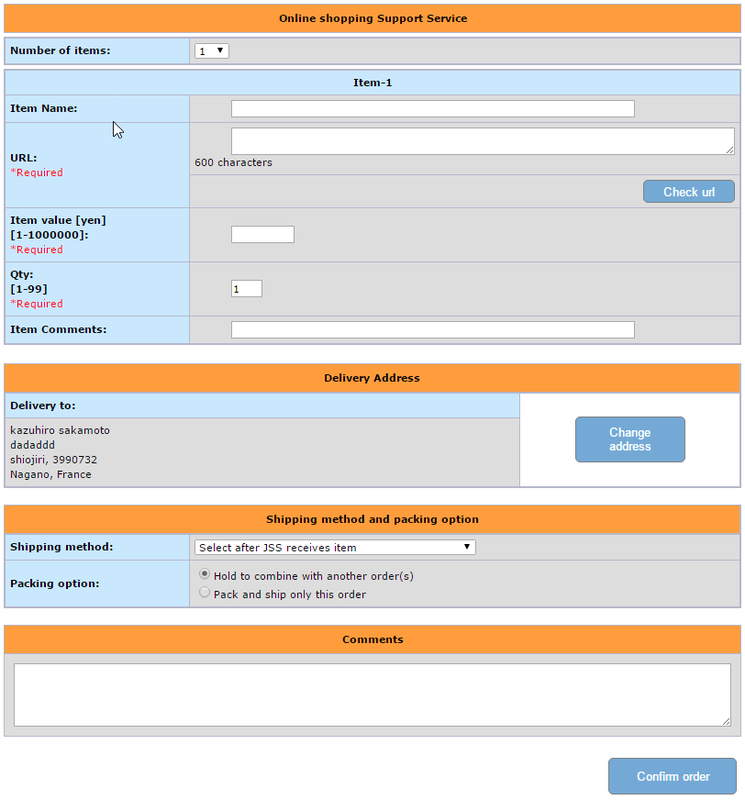 Fill the required informations and click to "Confirm order" button. You can change the delivery address when you request to pack after we receive your item only in case you select the shipping method "Select after we receives item". We recommend to select "Select after JSS receives item" option because you can select your pferred shipping method after we receives item. If you are not sure which option is better, select "Hold to combine with another order(s)" option. You can decide to pack only this order or combine with another order(s). [Back button] Back to previous page and edit your order. [Pay 1st payment button] After click the button, you will go to Paypal site and pay the 1st payment by your paypal account balance or Credit card. Step 6: Your order has been placed!